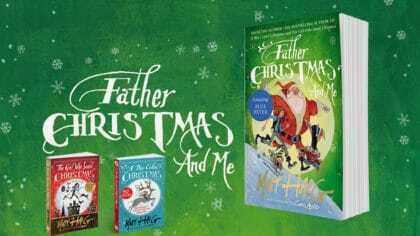 Everything you need to know about Matt Haig’s Father Christmas and Me! Find out more about the story below! Matt Haig has done it again with another great Christmas book! Called Father Christmas and Me, the story follows on from A Boy Called Christmas and The Girl Who Saved Christmas, two of his other books! The books are also brilliantly illustrated by Chris Mould! In Father Christmas and Me, the jealous Easter Bunny is out to ruin Christmas! It’s up to Amelia, Father Christmas and the elves to keep Christmas alive. Amelia’s not your average girl though. She’s living in Elfhelm but growing up as a human there isn’t easy, even if your adoptive parents are Father Christmas and Mary Christmas! For one thing, Elf School can be annoying when you have to sing Christmas songs everyday, even in July! Also it can get very, very cold. But when the jealous Easter Bunny and his rabbit army launch an attack to stop Christmas, it’s up to Amelia, her new family and the elves to keep Christmas alive. You can also read and listen to extracts right here!